How do Grad Schools View Multiple GRE Scores? In a perfect world, everyone would take standardized tests only once. This would eliminate the need to worry about having a low score on your score report, and would make the need to guess at how school would interpret multiple scores (Do they average them? Do they take the highest? Do they take the lowest? Do they take the highest or lowest score from each section?) disappear. We’re not in a perfect world, though, and most students take the GRE more than once. Which begs the question: How do grad schools view multiple GRE scores? 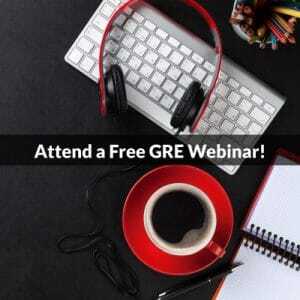 At the current time, GRE Board policy is to retain a record of all your GRE scores from the past five years, so students who have taken or are considering taking the GRE more than one time often worry that the multiple scores will adversely impact their chances for admission. Fortunately, there is no evidence that multiple scores hurt your application chances, and at many schools, additional scores—especially if higher—increase your chances of admission*. The Admissions Committee will be given all of the applicants’ scores. We do not average them nor do we take the higher or lower scores. Improvement in scores will be taken into consideration. This means that all scores will be viewed by the admissions board, but a noticeable score increase will be given the most attention. This is great news for students who do not score as well as they would like on their first attempt. GRE scores are but one of many criteria used to evaluate an applicant. Individual department’s practices may differ, but overall the best score from each section is used. However, you must submit ALL of your GRE scores in order to have the department consider the highest from each section. Yale, and many other schools, would use the 510 Quantitative score from the first test, and the 700 Verbal and 5.0 Writing score from the second test. This “best section performance” approach is a great benefit to applicants because it diminishes the effects of a poor performance on a single section of the GRE. Neither of the two approaches described above is unfavorable to candidates with multiple scores. But, because different schools have different policies regarding multiple scores, you should contact each individual school and inquire about their multiple score policy. Understanding how the schools will use your scores places you in the best position to make an informed decision about whether to take the GRE again or whether your admission chances have been hurt by multiple tests you took in the past. You should also note that some graduate programs put much more weight on a specific section of the GRE than on other sections. For example, if you were applying to an English program, the admissions committee would likely pay more attention to your verbal score and less attention to your quantitative score. Also, keep in mind that if you do not feel as though you have performed as well on the GRE as you would like, you can always cancel your score before it becomes official (although a score cancellation notice will still appear on your permanent record). *Data collected by the GRE Board shows that students who take the GRE more than one time typically experience a slight score gain. 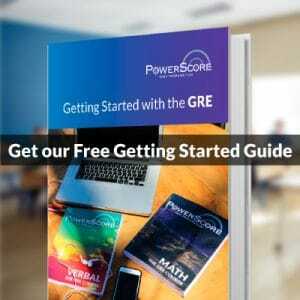 **PowerScore is unaware of any GRE program that averages multiple scores, but please check with each individual school for details on their specific policies.